What Makes Up a Credit Score and Tips on how to improve it? Personal Profile: Here you will find the personal information contained in your credit file, including your legal name(s), address(es), current and previous employers, and date of birth. Credit Summary: This section gives you a broad look at your current and past credit status. Here you'll find the total number of open and closed accounts in your name, the total balance on those accounts, and delinquencies. This section covers a summary for the following types of accounts: Real Estate Accounts, Revolving Accounts, Installment Accounts. Public Records: The information in this section comes from federal district bankruptcy records, state and county court records, tax liens and monetary judgments, and in some states, overdue child support records. Public records remain on your credit report for 7-10 years. Certain Public records such as Judgments, Mechanical lien, Tax Lien, IRS Lien, and lawsuit do not have any direct negative impact on your credit score number, however, it is the reason that you will not be qualified to get a Mortgage loan unless you do something about them (clear them). 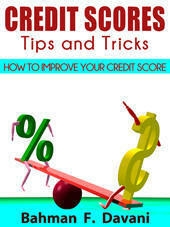 Credit Inquiries: This section contains the names of those who obtained a copy of your credit report. Inquiries remain on your report up to two years. · Number of times you were late for 30 days, 60 days, 90 days, or 120 days. TIPS: 90 day late payment has more negative impact on your credit score than a 60-day late payment. Please note that the more recent late payments have more negative impact on your score than an older late payment, regardless of the amount. For example, a $1 60-day late fee that has reported two months ago has much more negative impact on your credit score than an $800 60-day late fee that reported 20 months ago. · Number of accounts and amounts your accounts went to collection. · Number of accounts and amounts the creditors have closed your accounts and / or written off or settled with less than full amount. TIPS: Though closed or settled with less than full amount could have less negative impact than closed account by creditor, but it still has some negative impacts on your score. Especially, with the a Mortgage loan type, if it is reported that Mortgage loan that settled with less than full amount, it means “Short Sale” which could have a major negative impact on your score. TIPS: So, if you are negotiating to pay portion of your debt to close the account, or you have to go through Short Sale or Foreclosure make sure (if you can) make/ask the creditor to report in credit bureaus as “Paid in full”, “Paid as agreed”, “Paid Satisfactory”, and/or without Judgment. TIPS: Payment history of Mortgage loan has more impact than Credit Card Charges, which in turn has more weight than Medical Bills. For example, a $10 credit card collection account could have more negative impact on your credit score than an $800 medical collection. TIPS: Repossession, Foreclosures and Short Sales in Real Estate Accounts have major negative impact on your credit score. Try to avoid them and work it out with lenders as much as possible. TIPS: Please note that the recent late payments have more negative impact on your score than an old late payment, regardless of the amount. For example, $1 late 60-day fee that reported two months age has much more negative impact on your credit score than an $800 60-day late fee that reported 20 months ago. This measures how you manage your finances and plan for crises. Amount Owed here is not about the dollar amount you are borrowing, it is about the dollar amount you are borrowing relative to the amount available to you. You should have a good cushion of available credit between your current balance and your credit limits on all open trades. This will have a positive effect on your credit score. This cushion shows lenders that you are unlikely to overextend yourself financially. The ratio of Amount Owed to Credit Line should be less than 30% for each credit or charge card individually and for all cards combined. For example, carrying a $400 balance on a $1000-Limit credit card is bad for your credit score (AO/CL=40%). Whereas, carrying a $1000 balance on a $5000-Limit credit card is OK for your credit score (AO/CL=20%). If you are buying a home sometimes soon, don’t be tempted to open a store charge card to receive discounts. Though, these discounts can be huge, sometimes up to 25% of your purchases on the first day, however, usually you will be approved a couple of hundred dollars more than what you plan to buy. For example if you plan to buy a couch about $1200, you may be awarded a credit line of $1500, in which case your AO/CL ratio becomes 80% (almost maxed-out). This is a negative impact on your credit score. Time-by-time, request a soft credit line increase. Typically, creditors can increase your line of credit a couple of hundreds or thousand dollars without running your credit report, if you have a good record or relationship with them for a year or so. If your line of credit is increased, your Amount Owed/ Credit Line ratio decreases and that is good for your credit score. Like in statistics, test results with larger sample are more reliable than the test results with smaller sample. A person with 20 years of credit history gets much higher score than a person with 6 month of credit history. Average Credit history length will be calculated considering all loans. For example, if you have three credit cards Visa (20 years), MasterCard (12 years) and American Express (1 Year), then your average credit history would be (20+12+1)/3 = 11 Years. As you see on previous example, don’t close your “OLD” credit cards, especially if they are no-fee credit cards. Use your cards time-by-time and pay your balances in full. This builds credit history and credit length. Some creditors will close your account if you don’t use them for a while. Don’t let it happens to you. Don’t close your card with substantial length of credit history. Again, if you are buying a home sometimes soon, don’t be tempted to open a store charge card to receive discounts. Though, these discounts can be huge, sometimes up to 25% of your purchases on the first day, however, this would be a new card that causes your average history length goes down. For example, if you already have two credit cards; Visa (20 years), MasterCard (12 years) and you apply a new store card charge (0 years), your credit history length drops from 16 years to 9.9 years. This is a Negative impact to your credit score. To a creditor, numerous inquiries may indicate several attempts to obtain credit and therefore, a possibly unstable financial condition. If you are buying a home sometimes soon, don’t be tempted to open a store charge card to receive discounts. Though, these discounts can be huge, sometimes up to 25% of your purchases on the first day, however, you will be subject to a credit inquiry for a charge card. This is a negative impact on your credit score (e.g., due to Excessive Number of Inquiries). Allow a creditor to request a credit report only when you have made a definite choice in the purchase of a product. If you apply for a new credit card and get approved, this would be a new card that causes your average history length goes down. 5. Types of Credit: 10% of your credit score. Open-ended Credit (Revolving): Refers to a credit, up to a specified limit, made on a revolving basis for the purchase of products. Bills are issued monthly to the borrower for a total balance charges which are usually a portion of the credit. The borrower has a choice to pay an amount from Minimum Payment Required to the full Balance within a couple of weeks. Credit Cards (MasterCard, Visa, American Express, Discover Card, etc. ), Store Charge Cards (Macy’s, JCPenney, Sears, Gas Stations, etc…), are examples of Open-ended or Revolving Credits. These cards usually carry a high interest rate. Closed-ended Credit (Installment): Refers to a credit for a specific amount, made for the purchase of a specific product, usually large items, such as home, car, major appliances, etc. The payment period, number of payments and payment amount for each period are fixed. The borrower cannot pay less than specified payment amount for each period. These loans usually carry a low interest rate and are for a longer period of times. Closed-ended Credit (Installment) payment history, especially Real Estate accounts have much more impact or weight on your credit score than Open-ended Credit (Revolving) payment history. Repossession, Foreclosures and Short Sales in Real Estate Accounts have major negative impact on your credit score. Try to avoid them and work it out with lenders as much as possible. Therefore, if you have only enough money to pay your mortgage payment OR pay the minimum balance on your two credit cards now, your first choice should be paying the mortgage payment first and pay the credit cards after. Don’t carry a large number of credit or store charge cards. Interest rates are high and scoring models looks unfavorably on them. 6. Public Records: 00% of your credit score. Public records such as Judgments, Mechanical lien, Tax Lien, IRS Lien, and lawsuit do not have any direct negative impact on your credit score, however, it is the reason that you will not be qualified to get a Mortgage loan unless you do something about them (clear them). 7. Foreclosures, Short Sales, Deed in Lieu of and Bankruptcy: 200-300 Points of your credit score.